The great thing about shot shaping is that learning how to do it is good fun. 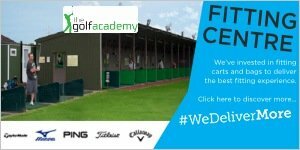 The practice range is where you'll discover how to manipulate the clubface angle and swing path to hit a host of different shots and ultimately that will help you become a more complete golfer. Place a stick on the line of your final target as shown here. 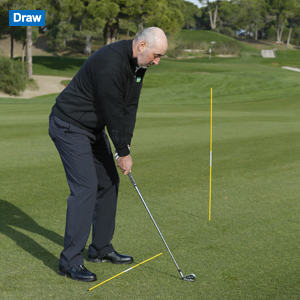 Then place a second stick on the ground pointing to the left of the target for a fade or right for a draw. As you address the ball, set your body along the line of the stick on the ground and point the clubface more towards the target (do not point the clubface directly at the target). Now simply hit a series of shots aiming to start the ball either to the right or left of the target line stick, shaping the ball around it. 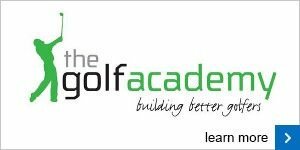 Remember that to do this you need to swing the club along the line of your body and the difference between this angle and the angle of the clubface is what creates the shape. Have some fun with this in practice and I promise your game will reap the rewards. 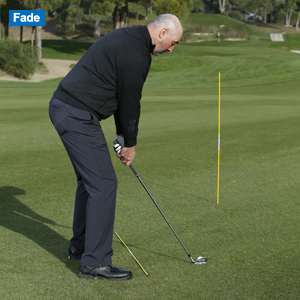 To shape your shots consistently, you need the correct golf clubs. There are certain models that are designed to help you do just that, offering superb feel and distance control. For some simple, impartial advice on the right clubs for your game, please come and see me in the pro shop.